Next summer we will celebrate 35 years of building community through dance. 2017 will also be longtime director Laura Faure’s 30th and final year at the helm. We have many special events and activities in the works to share with you…so read on! This historic anniversary will truly be one not to miss! We hope you will join us throughout the year and next summer to share in the celebration. Mark your calendar NOW for our 35th Anniversary Gala performance and party on Saturday, July 29 when we will gather to celebrate our history and give director Laura Faure a proper send-off. Last summer our faculty put their creative minds together to cook up some great ideas for our big anniversary. Among them are upcoming BDF Benefit Master Classes taking place around the country. On December 3, master teachers Cathy Young, Lisa Race, Diane Arvanites, and Tommy Neblett will offer classes at the Boston Conservatory. On December 10, BDF faculty Angie Hauser, Chris Aiken, Paul Matteson, Jenn Nugent, and musicians Peter Jones and Mike Vargas will offer a day of classes at Smith College in Northampton, MA. All proceeds will go to support our 2017 programs. Visit our Upcoming Events page for more info. 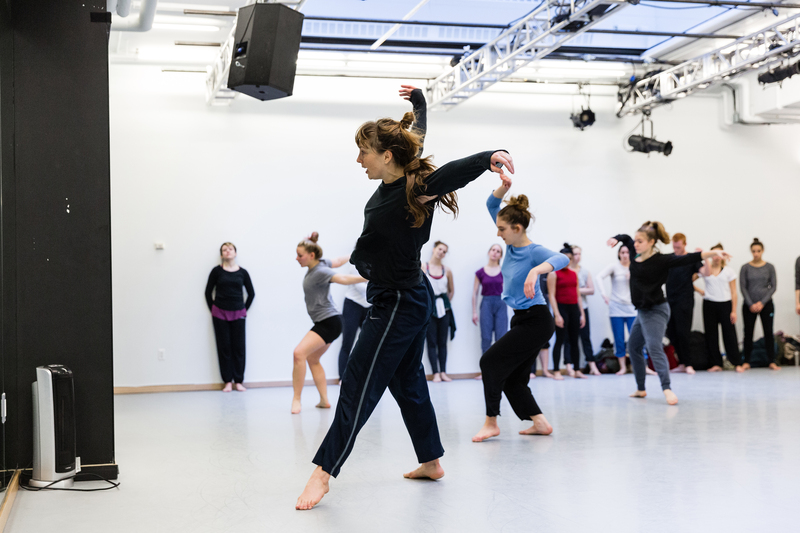 BDF is once again teaming up with New York City-based Gibney Dance to host BDF+Gibney Connect, this time for a four-day intensive taking place January 10-13, 2017 at Gibney Dance, 280 Broadway, NYC. This immersive experience will feature technique classes by Kendra Portier, Jennifer Nugent, Dante Brown, Jenna Riegel, and Amy Miller, and choreography with David Parker with music by Glen Fittin. 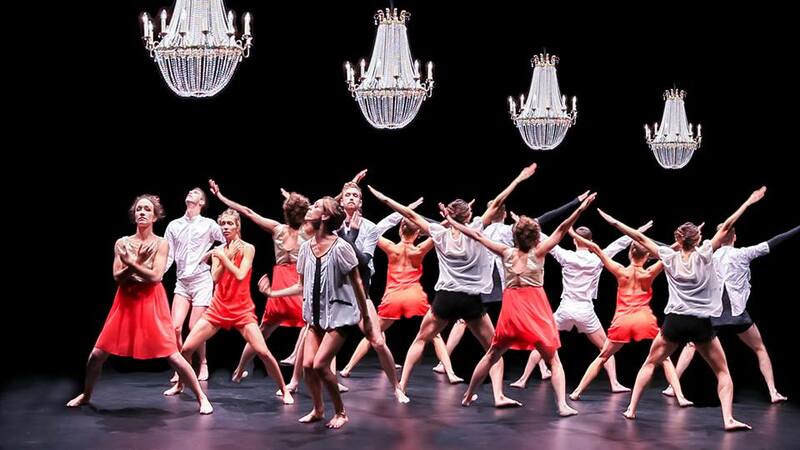 Focused around inspired dancing and creative exchange, the workshop is designed for intermediate and advanced dancers. The early bird fee is $175 with pre-registration by Nov 25 or $240 after that date. For more information and to register, visit Gibney Dance. We are excited to announce another great line up of accomplished faculty that brings together some of our favorite alums with exciting newcomers. Our Young Dancers Workshop will feature modern classes by Amy Miller and Tristan Koepke, ballet with Martha Tornay and Shonach Mirk-Robles, jazz with Courtney D. Jones, hip hop with Shakia Johnson, composition/improvisation with Lida Winfield and repertory with Christal Brown. Our Professional Training Program will include David Dorfman, Riley Watts, Claudia Lavista and Omar Carrum, Lisa Race and Kendra Portier, creative process and choreo lab with David Parker, Larry Keigwin, Michael Foley, JoAnna Mendl Shaw, Bebe Miller, Sara Pearson and Patrik Widrig, ballet and Spiraldynamik© with Shonach Mirk-Robles and Rachel List; Contact and improvisation with Nancy Stark Smith, classic jazz with Danny Buraczeski, yoga and Pilates with Robbie Cook, Business of Dance and with Kim Konikow, and more! Detailed information will be available on our website in early December. Attending a summer dance festival. One of my teachers and mentors, Melissa Canto Brenner, suggested I apply to BDF. I went through the application process with high hopes that I would be selected for a scholarship. Without one, the chances of me being able to attend were slim to none, so once I got the good news, I cried with joy. The universe had answered my prayers! I had been saving up for months and even tried fundraising, but it wasn’t enough to cover the remaining balance. The final piece to the puzzle was working out travel logistics. Plane tickets were too expensive, Maine is too far to drive to from Florida, so the only reasonable option was to take a Greyhound bus. Aside from the obvious concerns about my safety, I had to prepare myself for a 47-hour bus ride. Armed with popcorn, veggie sticks, peanut butter crackers and water, I was ready but I really had no idea what to expect. The only thing certain was my quest for knowledge and eagerness to dance. Considering the fact that I only knew two people, the first day seemed a bit overwhelming. Seeing so many new faces and constantly introducing myself never seemed to end. After the first few days, the wall of shyness eventually came down. Over the span of three weeks, I had the ultimate pleasure of working with amazing artists from around the globe who are passionate and inspiring. 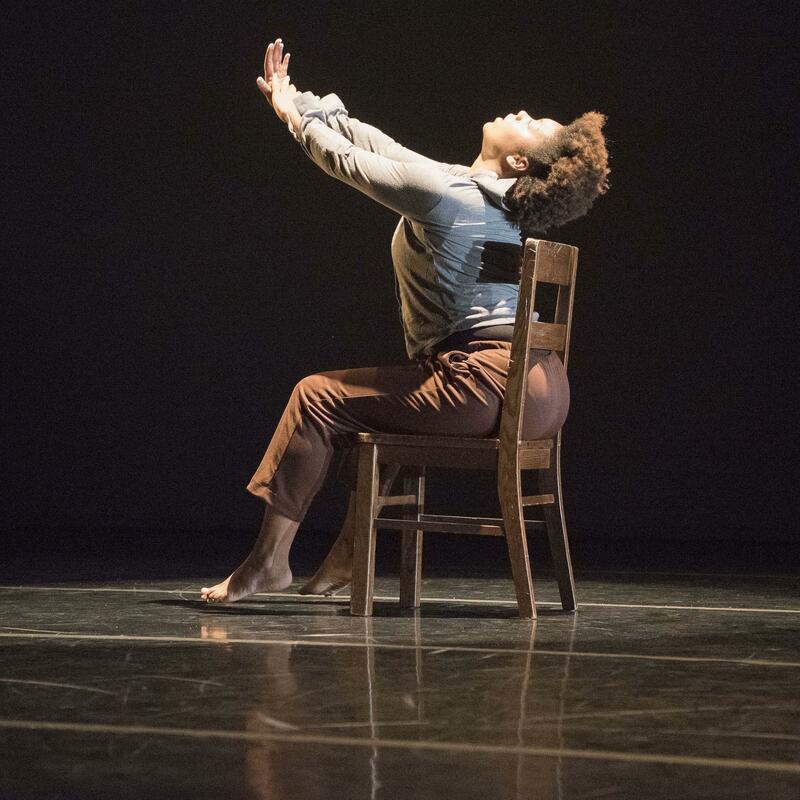 From Afro -Modern with Michel Kouakou, Modern with Paul Matteson, Improvisation with Chris Aiken and Angie Hauser and repertory with Marianela Boan, there was an abundance of knowledge and perspectives that I gained from each faculty member. The skill of integrating so many different perspectives and learning how to adapt them into my own choreographic aesthetic, is a practice that will continue to transform me as an artist. I also had the amazing good fortune to perform in Michel Kouakou’s new trio, “Trace,” with he and Robbie Cook in the Different Voices concerts. Not only did Bates cater to my appetite for movement, but allowed me to make connections with wide spectrum of dancers and musicians from all over the world. Having live musicians during the creative process also made a significant impact in the overall quality of the Festival experience. There’s a sense of community at BDF which made me feel at home. The faculty cultivates an environment where the capacity for learning is immeasurable. They challenge you mentally, physically and spiritually. The atmosphere allows for such a cultivation to exist, which allows each individual artist to have connectivity through their visceral self. After three weeks of four classes a day, I felt rejuvenated, alive and ready to take on the world.I learned more about myself than ever before. BDF gave me the opportunity and experience to gain greater confidence in myself and determination to peruse my interest more vigorously. A sincere thank you to the donors, interns, faculty and to all those who made it possible. My experience at BDF last summer will forever live through me. See why BDF alums want you to help support our important work. BDF relies on contributions from foundations, corporations, and individuals like yourself to supply 40% of our operating budget. Please consider a gift in any amount to support our 2017 35th Anniversary season. Make your tax-deductible contribution online NOW.